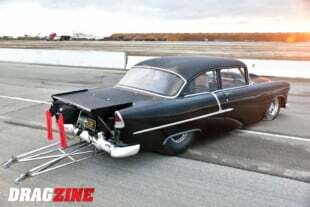 New elements will always be incorporated into drag racing. It’s inevitable. And when they do, most of the fanbase will just as surely see the new “thing” as coming from out of nowhere. What the mainstream can’t see, however, are the roots of change: the groundwork laid before inspiration becomes action. Of course a little good luck is always included, as well. Both of those factors — hard work and random chance — are certainly evident in the subject at hand. Are we talking about the rise of no-prep? Nope. Rather, the power couple that is Kayla Morton and Chris Hamilton. Independently, each became known via Discovery’s original Street Outlaws series, based in Oklahoma City. Chris became known to the public first, identified by his nickname “BoostedGT” in the inaugural season of what would become a landmark program for the racing industry. 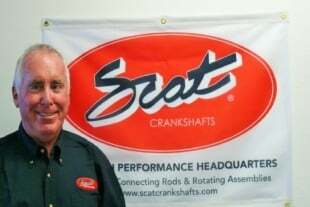 As a Texan, his ‘outsider status’ has anchored the Oklahoma-versus-The World theme and, for the uninitiated, has highlighted the nation-wide scope of street racing. Kayla, meanwhile, was deeply involved in her own racing, just outside the reach of television cameras. Truly, she grew up in the sport. “Dad raced Pro Stock, in the ‘80’s,” she says, “And then when I was born, they just took me to the race track, all the time. I grew up there and in the shop, and when I turned 16 it was just my turn to start driving.” On the track, her career started in a 10-second bracket car and quickly progressed to Outlaw 10.5. There, in 10.5 series local to her hometown of Tulsa, Oklahoma, she piloted her orange, silver, and pink-accented 2005 Mustang with ProCharger-fed, big-block Ford power built by her dad, at STK Specialties. It’s with that car that she first entered the no-prep scene. 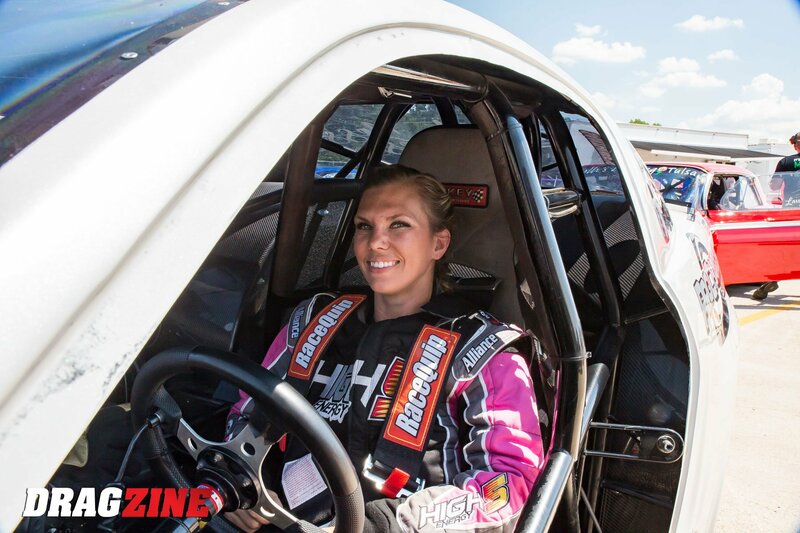 At the same time, she was widely known as the top — if not the only — female street racer in Oklahoma and surrounding areas. As she puts it, “Really I’m the only girl in that area that races. 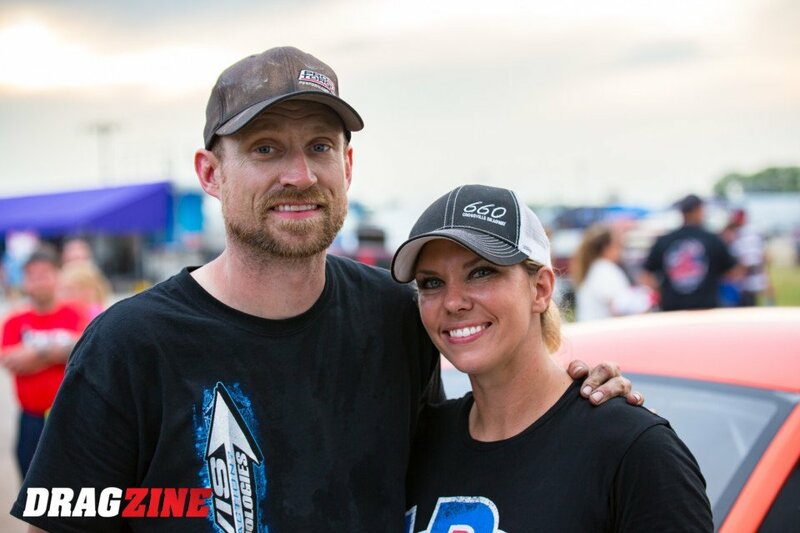 And I’ve been doing it for a long time.” So, as the Street Outlaws crew was looking for new challenges and new challengers, Kayla got the call. “Big Chief just called me one day and asked me if I wanted to participate in the show,” she says. And while it wasn’t the start of her racing career, by any means, it was definitely the start of something different. What was perhaps a larger hurdle to overcome for Kayla and the family team was building an entirely new car to fit shifting rule sets. More specifically, the rule set for Street Outlaws: No Prep Kings. 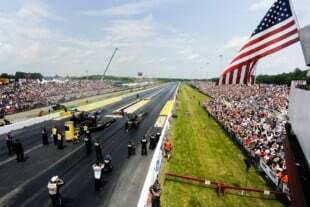 Set up by Pilgrim Studios and Discovery Channel to be filmed for television, this new series boasted big purses and big exposure for each of the racers, but demanded steel roof and quarter panels. The Outlaw 10.5 car being composite-bodied, it was not eligible for an invitation. So a new from-scratch build was undertaken. The Hot Mess Express, as it’s been dubbed, carries over several characteristics of the old car — chassis and body work by Lansdown Race Cars, a ProCharger feeding a big-block Ford from STK Specialties, and a Lenco that Kayla shifts herself, with levers. But that all is now carried by an actual S197 Mustang, original steel from the production line. With the second yellow car, he’s made his own legend both on the street and in the exploding no-prep movement at tracks across the country. Motivated by a single-turbo small-block Ford, that combination proved sufficient to run with big-tire cars, on any surface. “That car kind of did everything,” Chris acknowledges. But with ever more attention (and investment) focused on both street racing and no-prep, his competition soon figured out what’s necessary to be reliably competitive: a bigger tire. In other words, if Chris wanted to compete with other major players, a big tire would have to be in his future. And thus a new build was started on his side of the garage, as well. Actually it had been already started and semi-abandoned, by Kayla’s dad. “It was kinda weird,” Chris says. “That thing sat, on the side of their house, for years. And, of course I’d go over there and see it sitting there, and my brain would start turning every time I’d see it.” After some time, a deal was made and he acquired the car. Built up and finished by Team Z, the chassis was equipped with drivetrain components like a Proformance transmission and ProTorque converter. 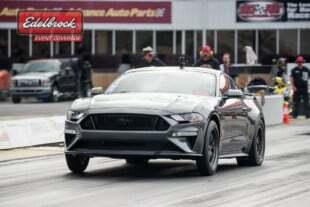 The STK Specialties 400-inch Ford was finally transplanted out of the older car and into the new build, but not before a conversion to M1 fuel and twin turbos, again from Precision. And while small tires were fitted to the car in its first season, due to his familiarity with combination, Chris intends to race it with big tires and wheelie bars from this point forward. And don’t worry, a second small-block Ford motor has already been sourced for the yellow car for its return to competition soon.